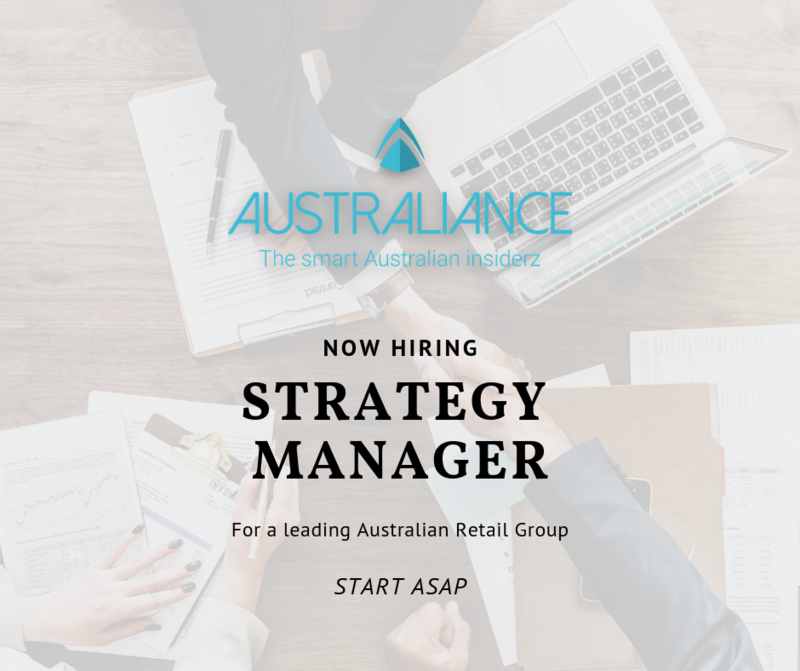 Australiance is looking for a Strategy Manager for a leading Australian Retail Group. critical strategic initiatives for one of the largest retail Business in Australia. the face of Australian retail. outside « day job » and require additional resources to help think bigger, faster, better. 1. Fill in our application form with the reference “Strategy Manager Retail 0419″. 2. We will get back to you in under 24 hours (weekends excluded). I hereby apply for the position of Strategy manager retail 0419. I have been in retail for a few years and I know what it takes to improve sales. I will be a valuable asset to the company if given a chance. Hello Victor and thank you for your interest in Australiance. I invite you to apply for this job by clicking here.